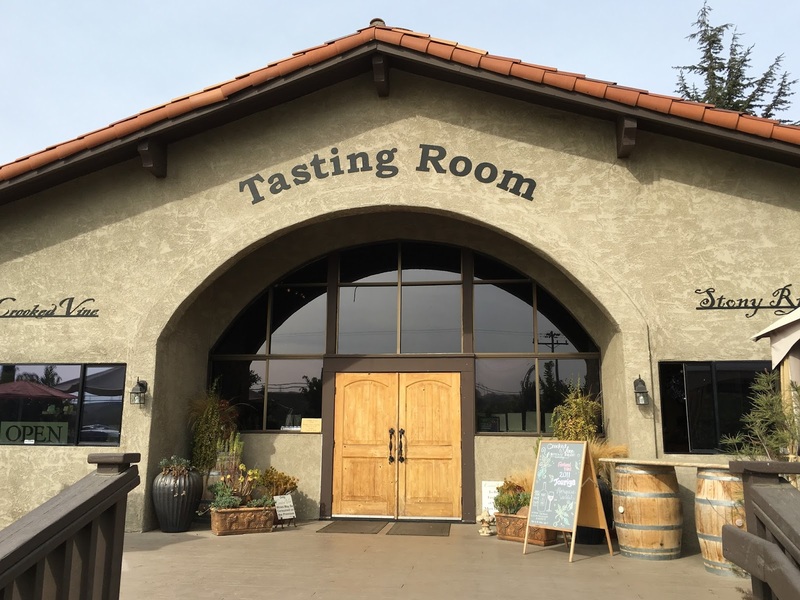 Two wineries in one tasting room? Yes, it’s as great as it sounds! 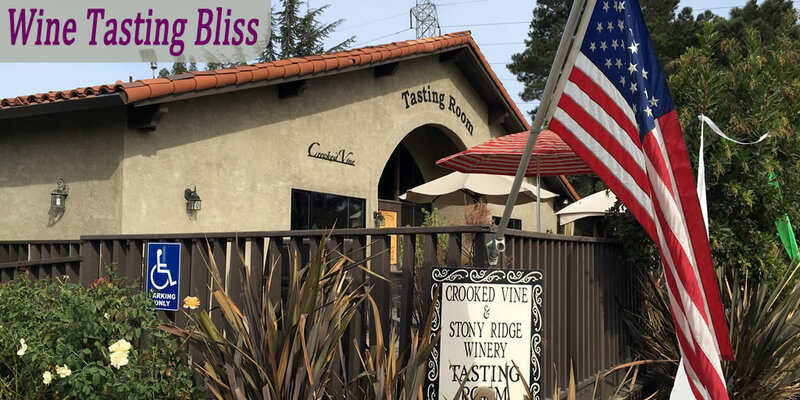 Crooked Vine and Stony Ridge Wineries bring twice the wine tasting fun in a single tasting experience. 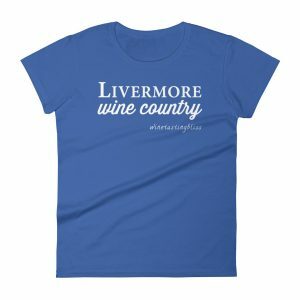 Positioned conveniently at the start of the Livermore wine trail, these wineries are a great start for so many reasons. On this sunny afternoon, we returned for a tasting after a long, long time away. We had already enjoyed an amazing tasting at Page Mill Winery, just down the street, and only had enough time for one more tasting. 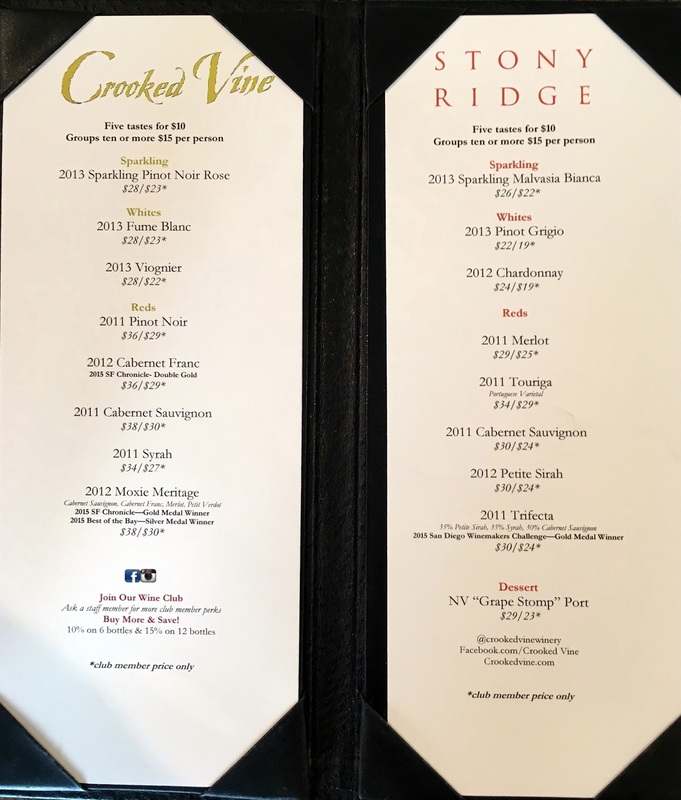 We had heard a lot of good things recently about the wines being poured at Stony Ridge (I’m just going to use one winery name from now on so that I don’t get carpal tunnel from typing them both) and felt that it was time to check it out ourselves. We entered the parking lot, navigating around a cluster of tuxedo-clad gentlemen with that “when will all this the waiting be over?” look on their faces. Weddings are great fun once they start, but those 20 minutes just before “kick off” are interminable. We all felt their pain. 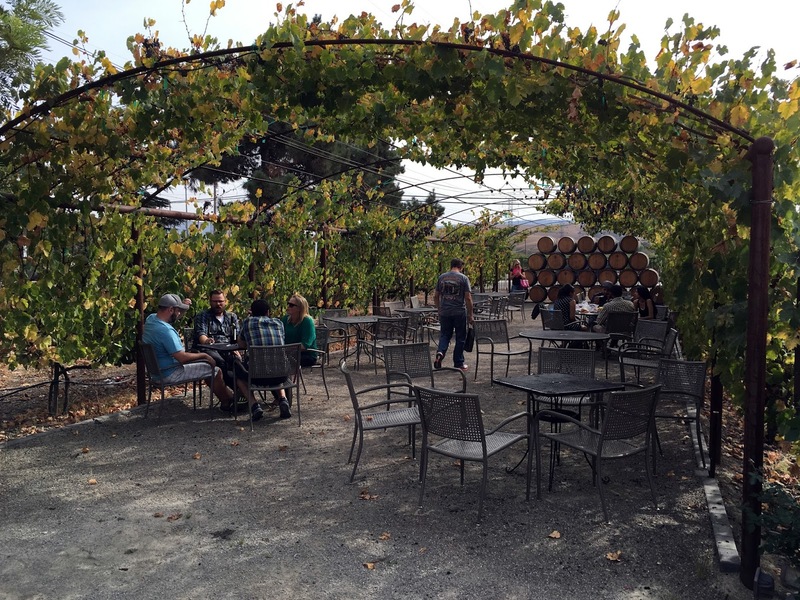 As we approached the tasting room, we discovered the first obvious change: a lovely vine-covered patio area. Lots of nice tables and chairs, shaded by grape vines. 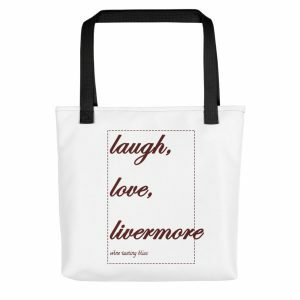 Perfect for sipping, say, a crisp Fume Blanc and watching the sun settle behind the foothills. Another great venue for our traditional mid-afternoon cheese and crackers snack. If only we had planned ahead! After admiring the outdoor tasting options, we proceeded indoors. We found a nice spot at the bar and met our wine guide, Megan. 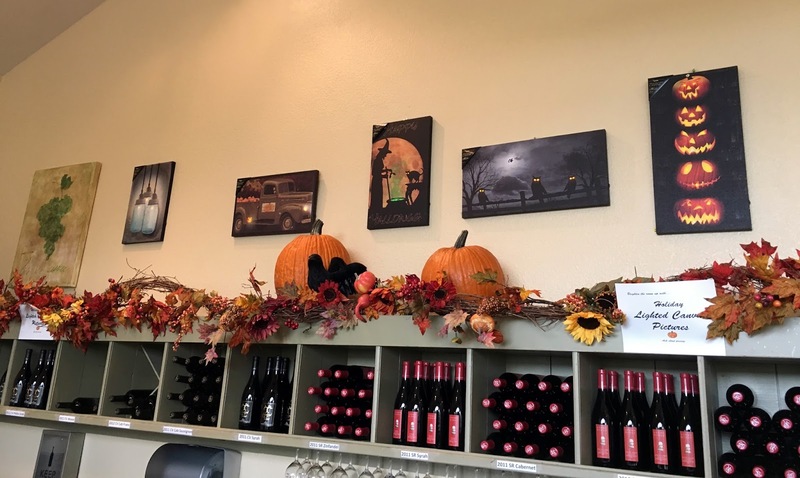 A recent transplant from Texas, Megan was enthusiastic about the winery and seemed genuinely excited to introduce us to their latest releases. Their tasting program is straight-forward: five tastes for $10, with full access to the tasting menus of both wineries. The three of us played “divide and conquer” with the tasting menu, with each of us taking on wines that appealed to each of us, with very little overlap among us. 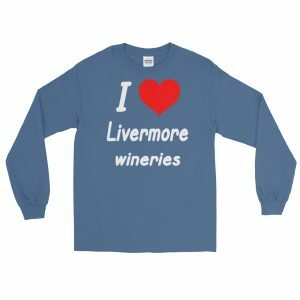 Easier than it sounds, because of the many years of wine tasting experience that we brought to bear on the situation. Here are some of our favorites from the tasting, in no particular order, since we were hopscotching all over both tasting menus. Their 2013 Sparkling Malvasia is the perfect wedding sparkling, with its not-too-sweet slash not-too-dry taste and the tiny bubbles that can really last in the glass as the wedding guests wait for everyone to be served. The 2013 Fume Blanc led with a strawberry nose and a crisp finish. Perfect for that vine-covered patio, right? 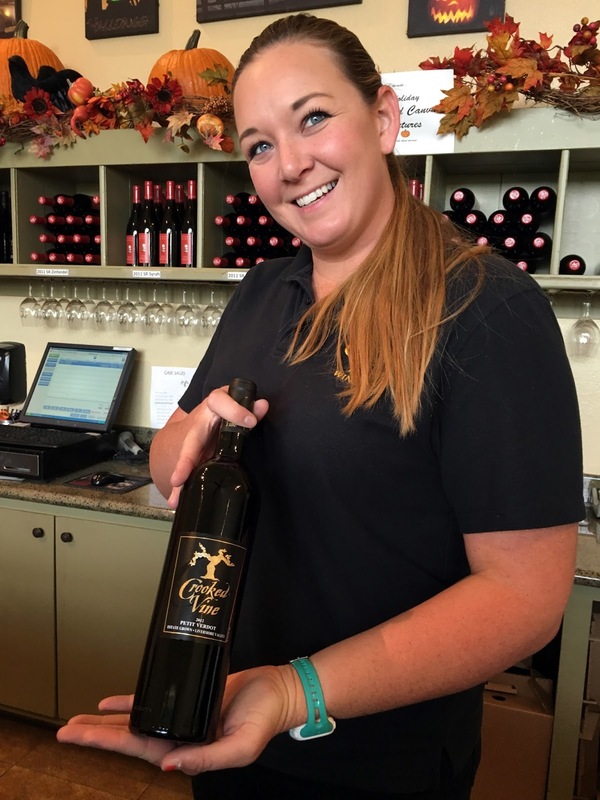 One of Judi’s favorites was the 2012 Moxie, a blend built on a Cabernet foundation. Coffee aromas that pay off on the palate, with enough character to stand up to food. Rob loved the 2011 Touriga, smokey velvet and dark cherries. My favorite was their 2011 Trifecta, with an aroma that hinted of chocolate chips and a great dark fruit finish. Perfect with a bowl of homemade vanilla ice cream! It should come as no surprise to learn that we handily visited (and revisited in some cases) everything on both menus between the three of us. We chose some wine to take home, expressed our appreciation to Megan and set off for dinner. Thanks to Megan and some truly fun new wines, we had a great return to Crooked Vine. Cheers, everyone! Have you visited Crooked Vine? Click to give'em a tweet of support!